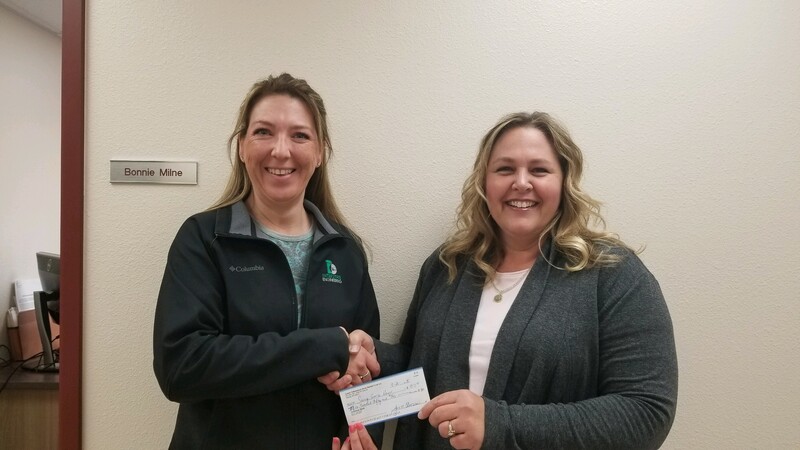 Operation Round Up is a charitable program funded by the members of Lower Yellowstone Rural Electric Cooperative who voluntarily "round up" their monthly bills to the next dollar. Non-profit and community organizations in the general service area of Lower Yellowstone Electric are eligible to apply for Operation Round Up funds. A member participating in Operation Round Up with an electric bill of $38.63 would actually pay $39. The extra 37 cents is placed into the Operation Round Up fund. On average a member donates 50 cents a month, or $6 a year. The most any member would donate is 99 cents a month, or $11.88 a year. With hundreds or electric cooperatives members participating, the pennies add up quickly. Members may also choose to contribute additional amounts each month. Guidelines for applying for "Operation Round Up"
1. Funds shall be disbursed in the general service area of LYREC for charitable, education, scientific, health or safety purposes. 2. No funds of the TRUST shall in any fashion be used to support any candidate for political office or for any political purpose. 3. Not more than $2500 will be given annually to any group, organization, charity, or like organization. 4. The board will meet quarterly to evaluate applications. Members are not required to participate. Members wishing to have their account removed from the Operation Round Up program can simply call (406) 488-1602 or send an email to lyrec@lyrec.com. You may contact one of the following Operation Round Up Board Members or Jami at the LYREC office if you have any questions. Email applications to jamip@lyrec.com or send applications to LYREC Attn: Jami Propp PO Box 1047 Sidney MT 59270.